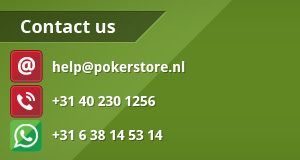 At Pokerstore.nl you buy securely online poker equipment since 2005. 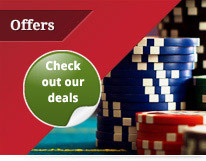 In our online poker store you can choose from a wide range of poker chips, playing cards and other poker equipment. Whether you need a poker set for your weekly home game, professional poker chips for a daily cash game or a real casino poker table for your own poker room. In our shop you’ll find poker supplies for recreational players and professional poker equipment for the professional end users like casino, card clubs, private poker clubs and poker rooms. Ordered on weekdays before 16:30, same day shipment! 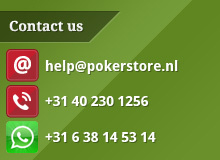 At Pokerstore.nl we send every working day orders to your home through DHL, PostNL and dedicated freight carriers. 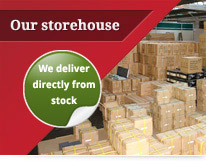 We supply all poker products direct from stock from our warehouse in Veldhoven in Holland, Europe. We deliver poker supplies real fast to your next poker home game. International shipping, we ship to more than 50 countries worldwide , so if you want to make an order from Australia, Brazil, Canada, China, England, Mexico, South Africa or the United States of America that is no problem at our online poker store. Whether you want to buy online poker chips, poker playing cards, poker sets, poker books, poker tables or poker accessories at Pokerstore.nl your order is in good hands. Do you have a question about poker or casino equipment? We will be ready. 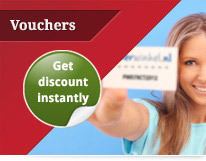 Our customer service is available Monday through Friday, 10:00 A.M. till 5:00 P.M. Central European Time. And on Saturday, Sunday and on official Dutch holidays our office is closed, check our opening hours. 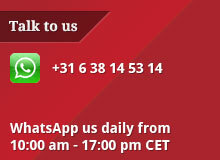 I you’ve a question after business hours you can always reach us by WhatsApp +31 6 38 14 53 14 or or via our contact form. We love to hear from you! Follow us on Facebook, Twitter, Google+ and Pinterest so you don’t have to miss the last online poker news or best deals on poker supplies on the Internet.